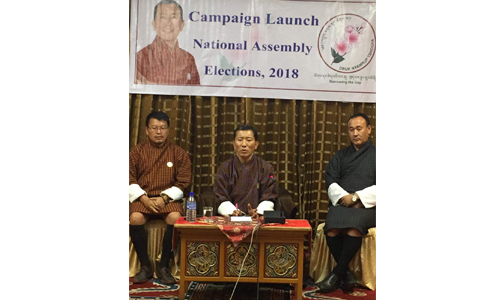 As the Druk Nyamrup Tshogpa (DNT) President, Lotay Tshering, launched the general round campaign, he said that he plans to spend a maximum of his campaigning period in six eastern dzongkhags. He said DNT is taking the risk of losing from the constituencies that it won in primary round to focus in the east. Lotay Tshering told the gathering that DNT is worried about the primary round results. DNT won from constituencies up till Thrimshingla and DPT got the highest votes in all the constituencies in the east. Thereby, DNT President said that this kind of result may leave people divided based on regions. “We got equal votes from all the 47 constituencies. 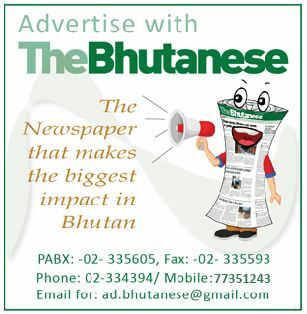 Nevertheless, DPT won with the highest margin from the eastern dzongkhags,” he added. He clarified saying the intention is not to win 2018 elections, but to make democracy stronger and to bring all people together and make it one. DNT said it has a good chance to win 28 constituencies to form the government. In line with the party sentiments, DNT President will maximize his campaign days in the east with the aim to win from two or three constituencies at the least. DNT President said it is a risk the party is taking. He said that there is every chance that at least 3 candidates can be cabinet ministers from Pemagatshel, and even the Speaker can be from Pemagatshel. “All the candidates are capable, what we need is a chance,” he added. He said the people voted for the party in the primary round, but this time, they will vote for candidates. “If people make the right choice, then 6 to 7 seats can be given to eastern representatives, and thereby we are expecting a lot from the people,” he said. 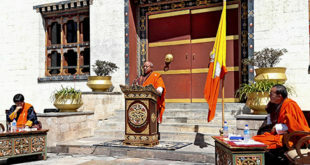 In addition, he also said that most people with poor health condition are from the east, and likewise eastern dzongkhags are bogged down with many issues and suffering. In addition, he also said that DNT looks forward to working hand-in-hand with DPT, and they hope that DPT would do the same. Meanwhile, DNT President said the party has capable candidates as the best were selected. However, he said, the party has given chance to candidates if they wish to withdraw or if they want to continue themselves. “It was good to know that all the 47 candidates wanted to contest till the end with DNT,” he added. He also emphasized on fake news in social media posted by anonymous writers. He said that, no individual should believe in what is posted by such anonymous writers. He clarified about the recent post photo of his with the former Lyonchhen. He said that that photo was taken last year during the National Day held in Haa. “I don’t believe in such things. I did meet former Lyonchhen after the primary round result and there the former PM wished the two winning party a fair and successful election. I also met with the DPT president and BKP VP through phone,” he added. He also said DNT pledges of better hospital services, class X cut off point, wages for the rural mothers, free Wi-Fi services have appealed to the voters. “DNT came up with the pledges after a lot of study, and we make day to day calls emphasizing how the pledges will benefit the people in the long run,” he said. Lotay Tshering said his main motive to take part in politics is to help people with better health facilities and with better policies.” I did not pledge on health just to gain votes and I did not say anything which we cannot do,” he said. He clarified a recent rumor doing the rounds. “Me promising to conduct surgery in rural areas is just a rumor created by people. What I said was, in order to have a better health services, we need to have four services in place; blood testing, urine testing, ultrasound and endoscopy. If we have these four services in place in all the gewogs then 90 percent of diseases can be detected at the early stage. Thereby, we pledged to give these services in gewogs,” he added. He also said that DNT has pledged to place four specialists; a surgeon, a gynecologist, a medical specialist and a maternity specialist in each dzongkhag. In addition, DNT also pledged to carry out the maintenance of Sipsu hospital and deploy four specialists, construct new hospital in Nanglam with four specialists, and likewise, change the policy of each hospital in each dzongkhag. “We will construct hospital and provide facilities as per the priority,” he said, adding not everything can be done overnight. “We will try and request people to support us so that we can narrow the gap and serve people and country in better ways,” he added. In the primary round, DNT won the highest total votes. DNT officially launched their campaign for the general round of third parliamentary elections on 22nd September by meeting the people from Nanglam, Pemagatshel. On the outset of the campaign, DNT stated their aim is not driven by short-term political gains but one that brings the people together, unaffected by political differences. DNT said, “By way of offering people a choice, we will present our strength through the right mix of a pool of talents to form the government. 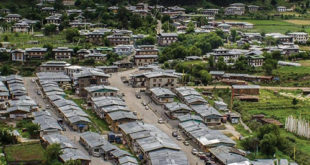 Falling within its overarching goal of narrowing the gap, the southeastern district of Pemagatshel is a priority for DNT, especially by gauging from the recent census records that places it at the bottom five of the highest poverty prevalence in the country. On 24 September, DNT President and members travelled to Langchenphu, Samdrupjongkhar. They met with the people of Langchenphu and Phuntshothang on 25 September. On 26 September early morning, they started their journey towards Pemagatshel and met with the people from Pemagatshel and Kangpara. Likewise, on 27 September, they travelled to Wamrong and Uzorong whereby they met with a people from Lumang, Uzorong and Samkhar. On 28 September, they met with the people from Bartsham_Shongphu, Trashigang. DNT met with the people of Bidung gewog on 29 September, and then travelled to Radhi-Sakteng in Trashigang on 30 September. Every meeting focused on the introduction of candidates and explanation of pledges in detail. The campaigning period also helped DNT to clarify any doubts asked by the people on pledges. DNT President Lotay Tshering also responded to people asking about DPT casting doubts on Nyamrup’s pledges on various platforms during the campaign.